Passage of Title IX was a seminal achievement in the quest for gender equality, but getting institutions actually to create and fund women’s teams proved to be a long-term challenge. 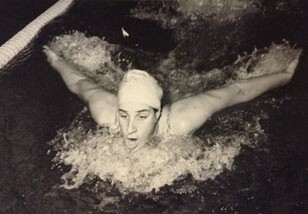 Through stock footage and interviews with members of the 1973 swim team, the film portrays the early fight at Yale for women’s leadership training and campus recognized women’s sports teams. Please indicate TITLE IX: Broad Shoulders in the memo line.